A robot is a machine that resembles a human and does mechanical, routine tasks on command or operates automatically with human-like skill. 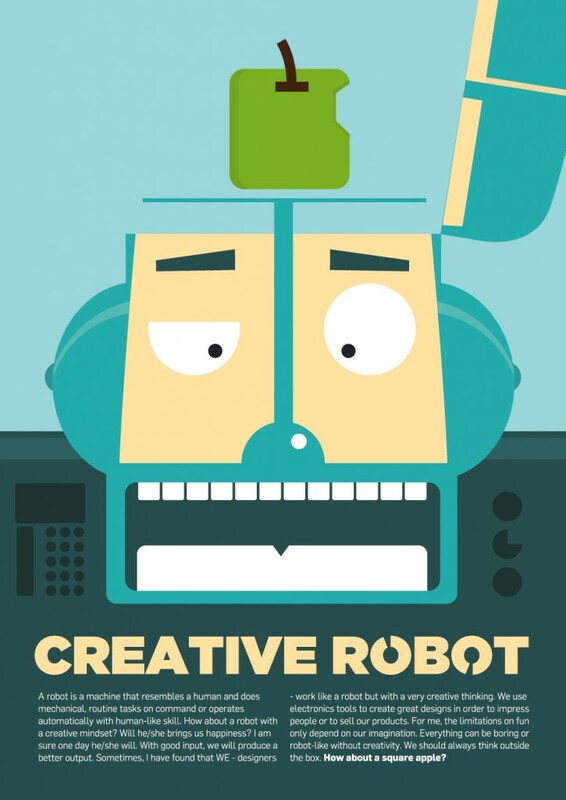 How about a robot with a creative mindset? Will he/she brings us happiness? I am sure one day he/she will. With good input, we will produce a better output. Sometimes, I have found that WE – designers – work like a robot but with a very creative thinking. We use electronics tools to create great designs in order to impress people or to sell our products. For me, the limitations on fun only depend on our imagination. Everything can be boring or robot-like without creativity. We should always think outside the box. How about a square apple?